A student at a Southern California high school achieved a perfect score on her SAT four years after her sister accomplished the same feat. Grace Xu found out Thursday she scored 2400 on the college entrance exam -- something done by only 0.03 percent of 1.66 million 2013 graduates who took the test nationwide. In California, 98 students of more than 234,000 2013 graduates scored a perfect SAT. 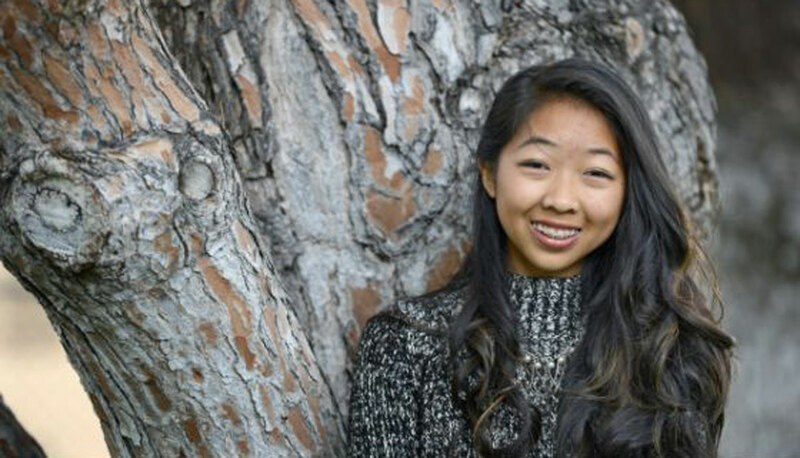 Sixteen-year-old Grace is student at University High School in Irvine. Her sister, Hope, is studying at Oxford University this semester. "We are super proud of both of the girls," Principal John Pehrson said. "Both are incredible students. Not only do they work hard, but are super well-liked by their peers and teachers." Both sisters took the test as high school juniors, but preparation began with sample questions in middle school, according to the report in the Orange County Register. As eighth-graders, they took practice SATs. Grace (pictured, right) said she scored a 2170 on the practice test, according to the Register. She was hoping for a score of 2350 or better on the exam. Grace has Advanced Placement classes and honors chemistry on her school schedule. She also participates in wind ensemble and marching band. Outside of school, she volunteers at Pretend City Children's Museum in Irvine. Grace told the Register she's not sure yet what she wants to study in college. Hope is studying molecular biology and neuroscience at Princeton University.